This module uses the LM2577S-ADJ variable voltage regulator. 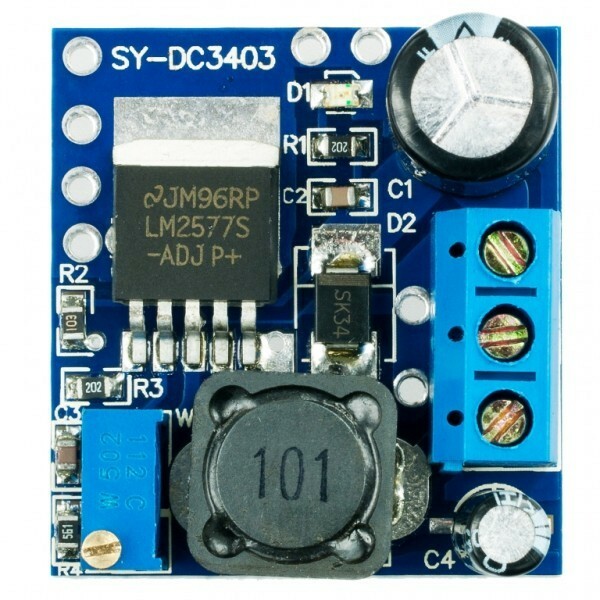 This module uses the LM2577S-ADJ variable voltage regulator. 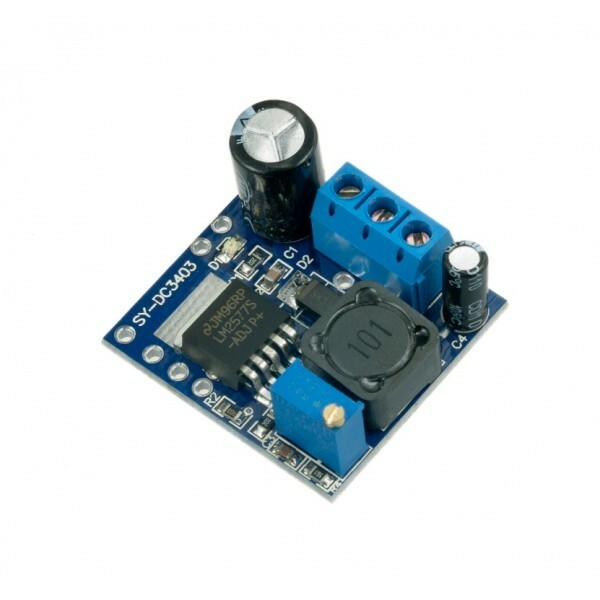 From an input voltage as low as 3.7V, it can output up to 34V. 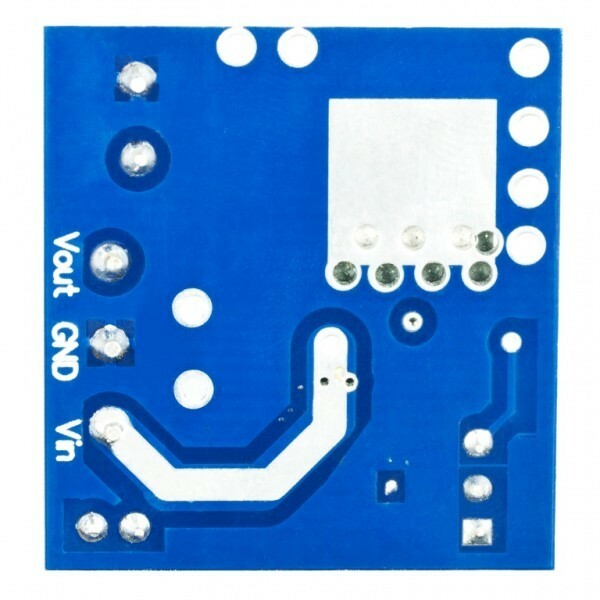 Uses a multiturn trimpot with internal worm gear for very fine voltage adjustment-- requires many turns to access the full output range. No reverse polarity protection, so be sure to plug it in the right way around.